PRESS RELEASE – Urgent – Critical Core needs you! Our Kickstarter is close to launch! Our campaign page is coming together and manufacturing is ready to go. But before we go live we need more subscribers, so our campaign will be featured by the Kickstarter team. We need your help – together we can make this adventure come to life! If you haven’t already, please like and share the Critical Core Facebook page to get regular updates on the project. From the start, Critical Core has been developed with input from adult advocates, kids on the spectrum, their parents and occupational therapists. If you or someone you know is an adult on the spectrum and would like to join our advocacy group, please email advocates@gametogrow.org and tell us about your interest and experience with RPGs and Critical Core. 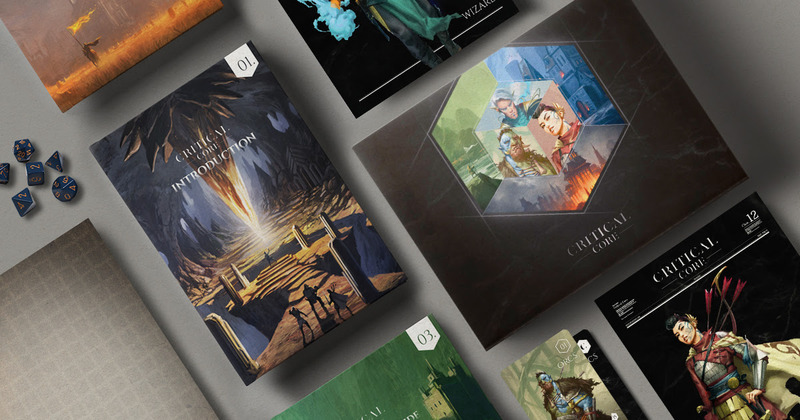 Here’s a sneak peek of our in-progress box artwork. Sneak peek of in-progress box artwork. Subject to change! Once again, you have made all the difference in bringing Critical Core to life, thank you!